Home Divisions Movement Disorders Michael Okun, M.D. 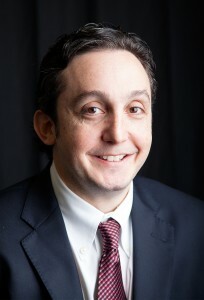 Michael S. Okun, MD, is currently Administrative Director and Co-director of the Center for Movement Disorders and Neurorestoration which is part of the Center for Translational Research in Neurodegenerative Diseases, the McKnight Brain Institute, and the University of Florida College of Medicine. The center is unique in that it is comprised of over 45 interdisciplinary faculty members from diverse areas of campus, all of whom are dedicated to care, outreach, education and research. Dr. Okun has been dedicated to this interdisciplinary care concept, and since his appointment as the National Medical Director for the National Parkinson Foundation in 2006, he has worked with the 43 international NPF centers of excellence to help foster the best possible environments for care, research and outreach in Parkinson disease, dystonia, Tourette, and movement disorders. Board Certified in Neurology 2001, and Recertified in 2011.